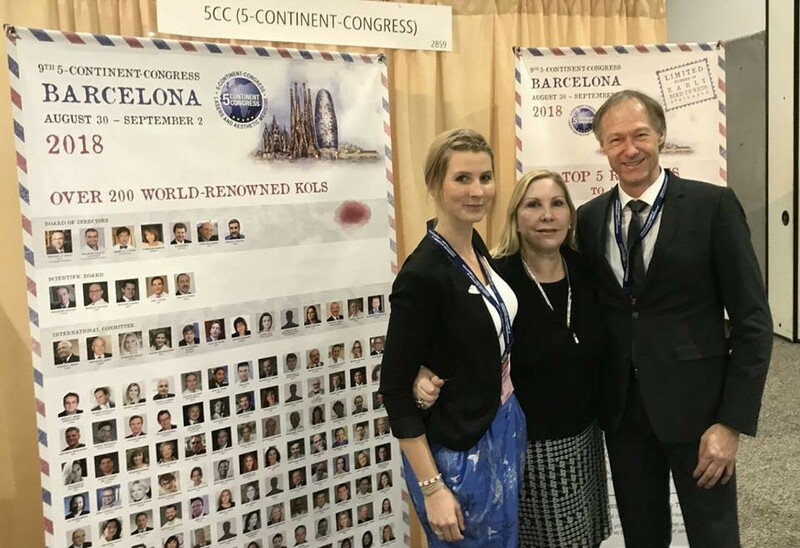 The 5 Continent Conference (5CC) has established itself as one of the leading educational opportunities in the world to meet the most respected aesthetic physicians, dermatologists and plastic surgeons from around the world. Don't miss this chance to discover ans share your knowledge, engage in wonderful discussions, and teach new therapies and new techniques in our ever changing aesthetic environment. What are the advantages of exhibiting at 5CC 2018? With upwards of 1200 attendees expected, companies that exhibit at the 5CC will have the opportunity to showcase their products to not only some of the most influential clinicians in the aesthetic space, but to the attendees eager to learn and to be part of the aesthetic growth that we are seeing around the world. The exhibitors will have access to the faculty and attendees in ways that allow them to have candid discussions and demonstrations – all conducive to making an outstanding Congress for our industry partners. I always tell people to arrive early, visit all the exhibitors and learn what they have to offer. Be part of the scientific sessions where you can learn from the best of the best. It is a great Congress. Why the 5-Continent-Congress has become the most important congresses in the field of aesthetic medicine? The 5CC is one of the most important meetings in all of aesthetic medicine. We insist that we have the best faculty that one can assemble and that they be available to our attendees and to industry to help mentor and teach – this is what makes us special. The 2017 edition of the 5CC Congress had over 1200 participants from over 70 countries – more are expected in 2018.